Web 2.0 and Enterprise 2.0 concepts offer a whole new set of collaborative tools that allow new approaches to market research, in order to explore continuously and ever fast-growing social and media environments. Simultaneously, the exponential growth of online Social Networks, along with a combination of computer-based tools, is contributing to the construction of new kinds of research communities, in which respondents interact with researchers as well as with each other. Furthermore, by studying the networks, researchers are able to manage multiple data sources - user-generated contents. The main purpose of this paper is to propose a new concept of Distributed Informal Information Systems for Innovation that arises from the interaction of the accumulated stock of knowledge emerging at the individual (micro) level. A descriptive study unveils and reports when and how market research professionals use Social Networks for their work and therefore create distributed information systems for Innovation. Networks play an important role in economics. Firms set up connections with other firms in order to establish production relationships, cooperation, etc. Therefore, firms expect to increase their profits and survival. Innovation is essential to competitiveness and represents the way in which to anticipate, live with, or react to change (Ratti, 1991). Innovation capabilities and technological advance have been enhanced by strategic alliances and Collaboration networks that have proliferated in recent years, particularly in information technology sectors (Gordon, 1991). Information and Communication Technologies are frequently seen as an important enabler for such networks and a key factor in Economy. With the fast diffusion of technologies, companies and individuals unable to face the challenge can rapidly become uncompetitive (Solé & Valls, 1991). If they are not able to preserve their advantage on the long term, technological cooperation may be a possible course of action. Hakansson (1987) suggests a new perspective that sees Innovation (and technological development in general), as a product of exchange among different agents (firms, individuals, in the network). The former view treated Innovation either as an individual fact (like a Nobel Prize) or as a secret process in a firm. Innovation systems include the interaction between the individual (or actors) who are needed in order to turn an idea into a process, product or service on the market (Freeman, 1982). Most of the information technologies that are used for communicating and spreading Innovation fall into two categories: (i) direct channels (person-to-person communication by email or instant messaging), having low share and low commonality of information for the other agents involved and (ii) platforms, like intranets, corporate Web Sites and corporate portals (McAfee, 2006). Knowledge management systems have tried to elicit tacit knowledge, best practices and relevant experience from people throughout a company and put this information available to other in databases. Nowadays, Enterprise 2.01 provides business managers with access to the right information at the right time through a web of inter-connected applications, services and devices. By providing such a wide quantity of resources to firms and individuals, Enterprise 2.0 makes the collective intelligence of many accessible, translating into a huge competitive advantage in the form of increased Innovation, productivity and agility (Wylie, 2009). 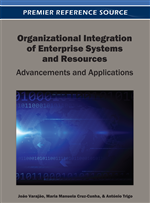 Within the concept of Enterprise 2.0, information systems are emergent. One of the most challenging examples of such an emergent information system is Wikipedia (www.wikipedia.org). Articles in this online encyclopaedia are assembled by ad hoc virtual teams. The social engineering of the wiki model is aimed at creating a cooperative and networked culture (Giles, J, 2005; McAfee, 2006). In this chapter, we study the use of Social Networks by individuals with the aim of creating Innovation. Knowledge capture through the interaction of individuals is therefore accumulated in Social Networks. Informal structures of knowledge that is shared by firms or individuals (or both) can be seen as Distributed Informal Information Systems for Innovation. Our main research hypothesis is that Social Networks are used as Distributed Informal Information Systems for Innovations by market research professionals. In order to capture the use of Social Networks, a survey was made in which a set of market research professionals (our target population) was analyzed, taking in consideration four Social Networks: Linkedin, Hi5, The Star Tracker and Twitter. To capture the Innovation capabilities inherent to market research professionals, information was gathered concerning eight main concepts: Finding Business Partners, Academic, New Business, Benchmarking, Find Human resources, Costumer experience, Concept testing and Product development. According to previous research conducted by Chadwick (2006) and Day & Schoemaker (2006), these concepts define the most common goals for the use of Social Networks by our target population. These are the main components for the creation of an Information System for Innovation.